The Dublin headquartered low-cost carrier Ryanair reported a disappointing loss at the start of this week. The airline said it made a net loss of €20m (£17.6 million) in quarter three which isn't including the losses made by its newly fully acquired Lauda operation, which is also a loss-making venture at the moment - (expected losses of €140million (£123 million)). 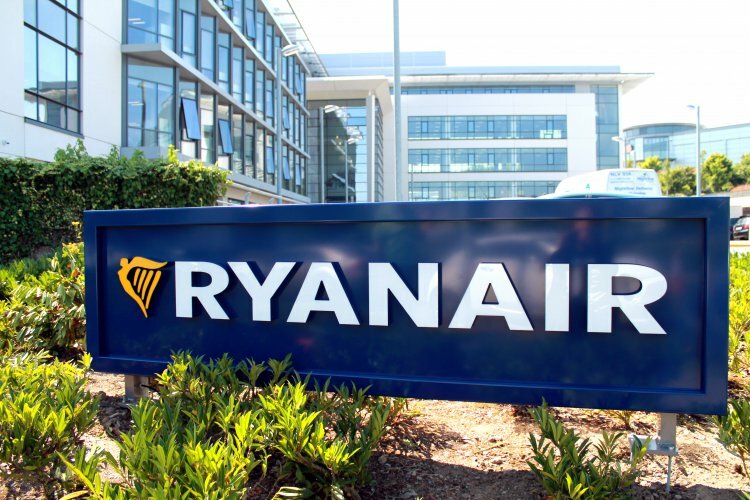 The firm blames a decline in average fares due to excess capacity during the winter period, yet it was Ryanair itself that dropped its prices dramatically after the rostering fiasco that caused it to cancel hundreds of flights that grounded 55,000 people. Although, on the bright side for the company's balance sheet, with the change in baggage fees and a greater push on inflight sales, the airline reported stronger ancillary revenue growth, up some +26%. The high-fee airline also blames increased staff costs, high fuel prices and having to fork out compensation to passengers under regulation EU261 for the losses. Boss Michael O’Leary said, “While a €20m loss in Q3 was disappointing, we take comfort that this was entirely due to weaker than expected air fares so our customers are enjoying record low prices, which is good for current and future traffic growth. While ancillary revenues performed strongly, up 26% in Q3, this was offset by higher fuel, staff and EU261 costs.” The key bottom line on the firm's finances is that its debt has increased to slightly over €1.5billion. UK AOC granted in Dec.
Ryanair is also looking to capitalise when, as it predicts, some weaker European airlines will fail, with more airports becoming increasingly keen to attract the airline. It fully expects more airlines to go bankrupt this year, because of what it sees as overcapacity and higher fuel costs. Regarding the fuel, Ryanair is predicting prices rises in the coming m€€onths, which is why it has hedged 90% of its fuel requirements for the full 2019 year. With regard to Brexit, Ryanair says the risk of a “no deal” Brexit 'remains worryingly high.' however, it has obtained a UK operators certificate which allows it to continue to fly domestically in the UK regardless of whether there is a deal or not. Ryanair will also place restrictions on voting rights and share sales of non-EU shareholders as a result of Brexit, which could be bad news for any UK shareholders or indeed staff that have taken on shares as part of their earnings portfolio and some financial advisers are informing people to sell them pretty sharpish. 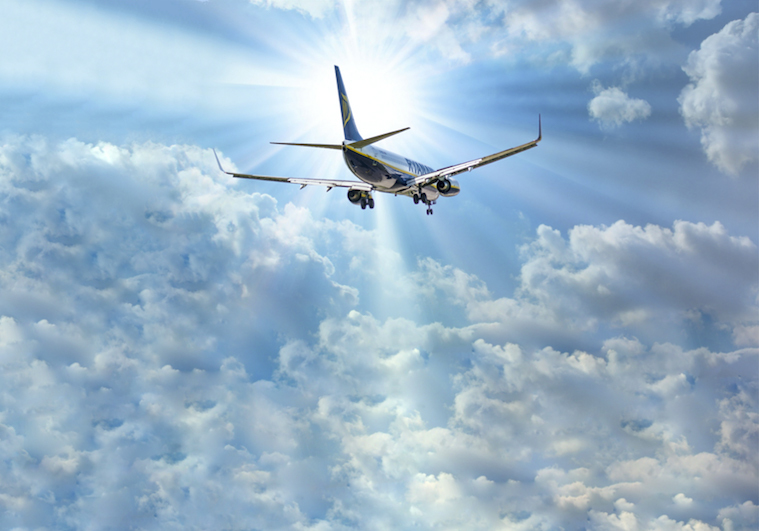 Future booking levels are good, but not as buoyant as expected and the airline is considering further price cuts as it tries to keep up the load factor levels, partly to ensure senior managements year-end performance-related bonuses are still paid. There are changes in store for the way the management structure is organised, which will follow the IAG model, in that each of the group's airlines will have a CEO and there will be a group CEO overseaing it all. Of course, it is no surprise that O'Leary is going to be taking on that role. In January Ryanair saw passenger numbers increase by 11% to 10.3 million, while load factor remained astonishingly high at 91% despite it being called the worst airline in Europe in a number of reports and surveys. The firm will also introduce a new route from Bristol route to Milan Malpensa, twice a week from May 26th as part of its summer 2019 schedule. Ryanair’s Robin Kiely said, “Ryanair is pleased to announce a new Bristol route to Milan Malpensa, commencing in late May, which will operate twice weekly, as part of our extended Bristol summer 2019 schedule." Nigel Scott, Business Development Director, Bristol Airport, said, “We are delighted with Ryanair’s new service to Milan Malpensa. This service will compliment Ryanair’s existing service to Milan Bergamo Airport providing a total of 5 weekly flights to the Milan region.